In the midst of asking for a second chance, we make intentions to perform good deeds and vow to help others. Manuel Compito a man who is making good with community programs, the Arts, and making peace in Downtown Los Angeles Skid Row community. Skid Row is known for homelessness and the ills of destitution. Manuel says, "Skid Row is Holy ground; for its goodness you do not see, for the success stories that are undocumented and the family community bond among us here." His role has earned him the affectionate name "OG" an original gentleman, for his leadership and passion for people. Being in position does not mean he is loved by everyone, but his work is loved by many for being effective. 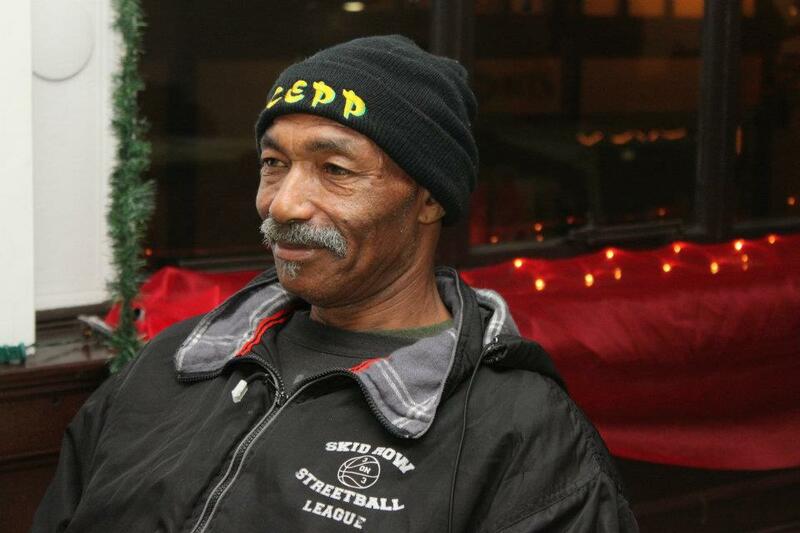 The OG's sincerity helps sustains a lot of positive work in the Skid Row Community. OGs N Service a social group dedicated to social service and leadership. Operation Facelift b.k.a. "Tha Funky Trash Can Campaign" an initiative where all he's just asking for, are a couple of funky trash cans for placing and to be utilized in keeping the streets. Which this campaign became actual jobs for Los Angeles residents. Author of PEACE N HOOD a neo-novel coloring book designed to promote peace and forgiveness. 3 on 3 Skid Row Basketball League A league of champions learning social leadership skills, through a code of ethics and words of the day. This league won a Championship title representing the residents of Skid Row community, during a Staple Center's basketball tournament. Skid Row Art Collective where local Skid Row residents participate and share their talents locally in art show and Thursday night Artwalk in downtown. "I am a writer, actor, artists and an advocate for community empowerment and PEACE N HOOD. Most importantly, I am a father, That's the best art." Manuel Compito. Be disruptive in the community and next Thursday it might be you.